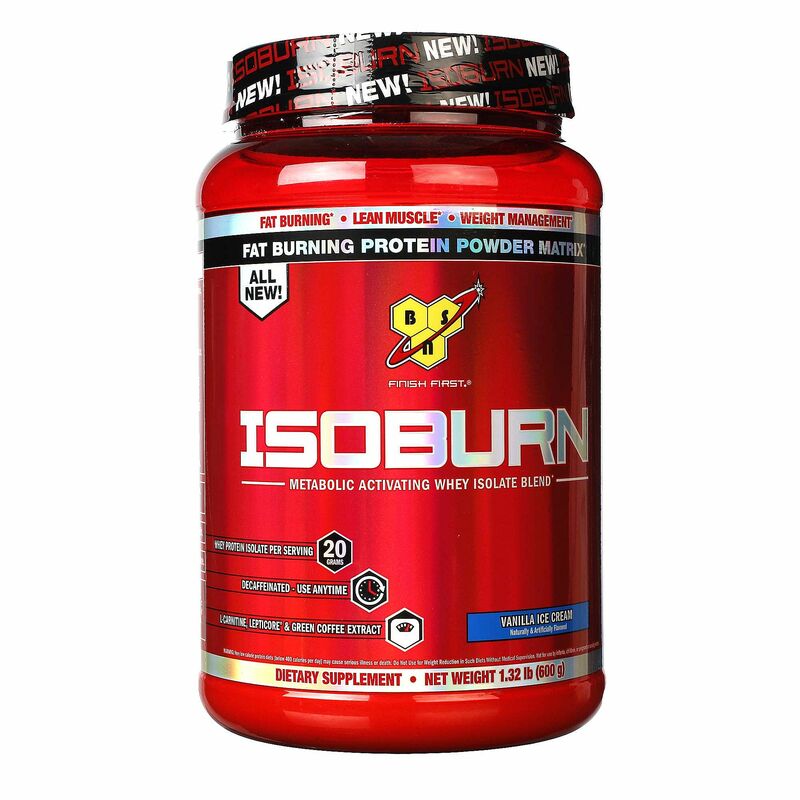 BSN Isoburn is decaffeinated so you can use it anytime. Warnings: Very low calorie protein diets (below 400 calories per day) may cause serious illness or death. Do not use for Weight Reduction in Such Diets Without Medical Supervision. Not for use by infants, children, or pregnant or nursing women. 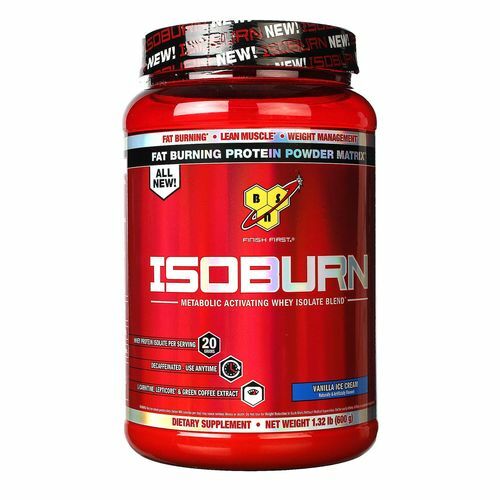 Consult your physician before using this product if you are taking any medications or are under a physician's care for a medical condition. Not for use by those under the age of 18 or women that are pregnant, trying to get pregnant, or nursing. Store in a dry cool place away from direct sunlight. Contents sold by weight, not volume. 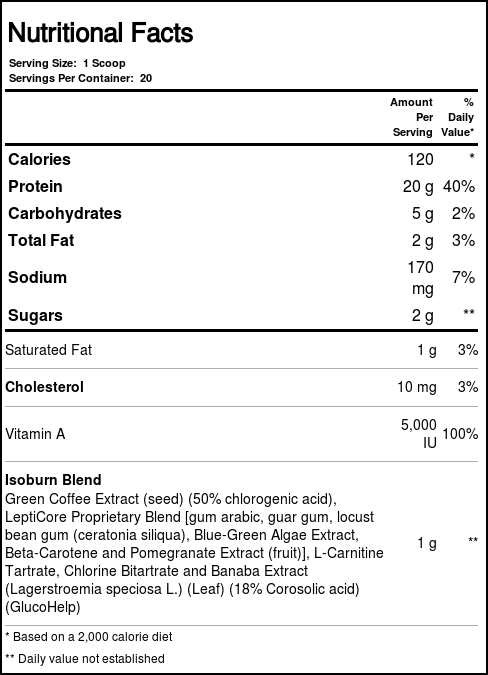 Notes: Contains milk and soy (lecithin) ingredients. 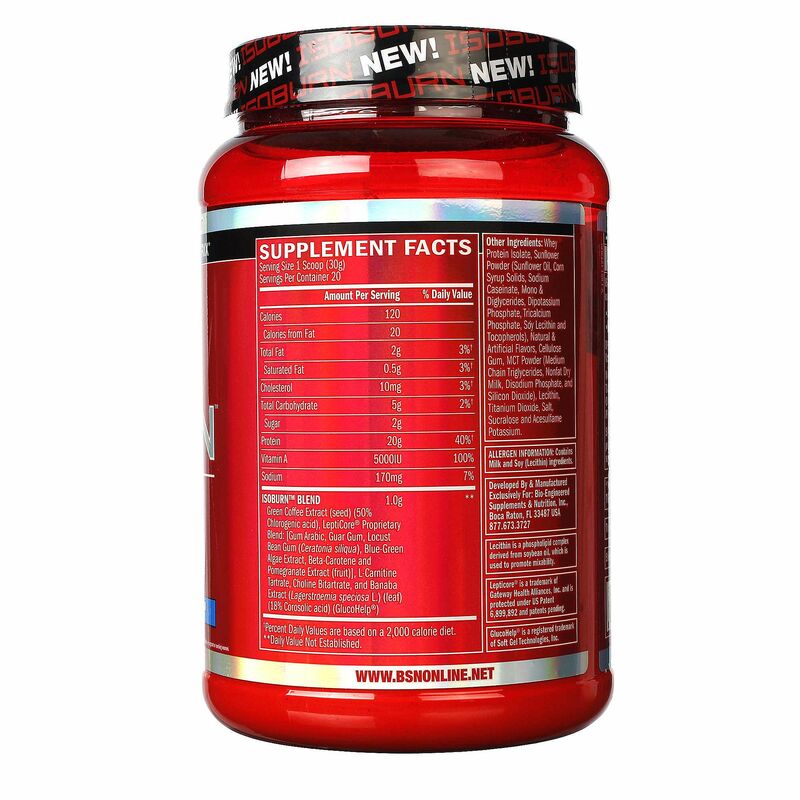 Lecithin is a phospholipid complex derived from soybean oil, which is used to promote mixability. This product has been manufactured by a Good Manufacturing Practices (GMP) facility. 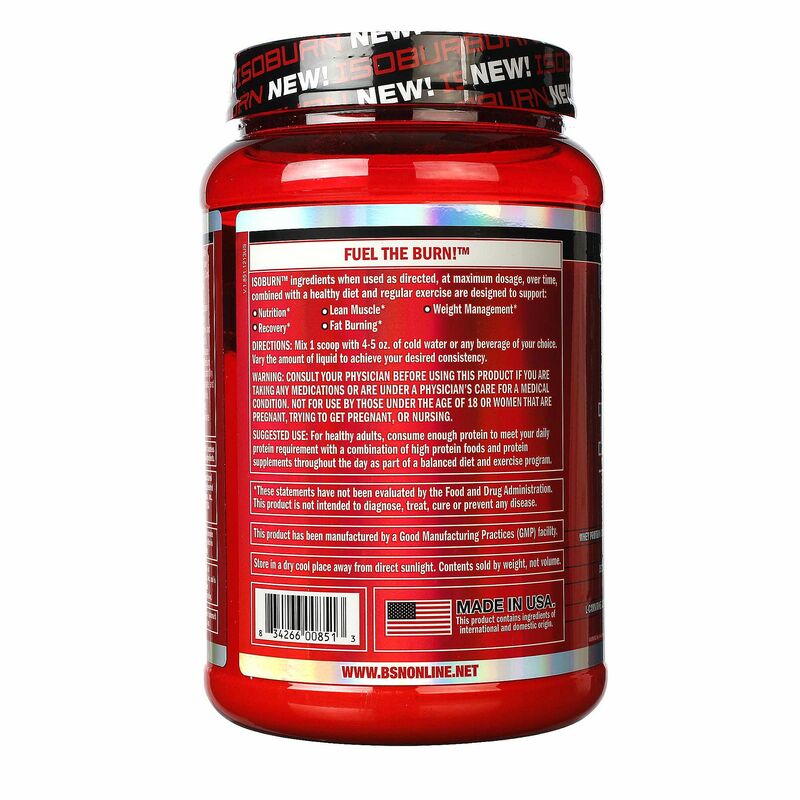 Recommended Use: Mix 1 scoop with 4-5 ounces of water or any beverage of your choice. Vary the amount of liquid to achieve your desired consistency.